• Asha was 9 years old at the time, in the year 2000. • She packed her backpack with multiple sets of clothes the night before she went missing. • Early in the morning, sometime before 4am, Asha leaves her family home in North Carolina, despite the heavy wind and rain outside. • A passing motorist notices her walking alongside the highway, and turns around. • At this point, Asha is observed running into a wooded area. • Her backpack is later unearthed from a construction site, near where she entered the woods. On September 20, 1988 in Belen, New Mexico, she went for her daily bike ride and never came back. Her mom actually used to accompany her on these rides but stopped because she felt like she was being stalked by a driver. She tried to get Tara to carry mace, but Tara refused. That day, her mom set out to look for her along the trail and didn’t find her, but pieces of her Walkman and a cassette tape. Several people saw Tara riding her bike (which has never been found), but no one witnessed her abduction although they did see a light-colored pickup truck following her. “Yuba County 5 or the Yuba incident that has been called the American Dyatlov pass…. • The Jamison family (2 adults, 1 young daughter) was interested in purchasing a plot of land in Oklahoma. • They drive out in their pickup truck to check it out. • Truck is later found abandoned. • $32,000 cash found in truck, along with the Jamisons’ IDs, wallets, mobile phones, and a GPS. • The family dog was also left in the truck, and was extremely malnourished. • A camera is discovered, the final picture was of their daughter, 6-year old Madyson, who looks somewhat distressed. • Security footage is uncovered, with the family appearing ‘trancelike’ and not speaking to one another. • The Jamisons’ skeletal remains are found years later, dumped less than 3 miles from where the pickup truck was originally discovered. On Christmas Eve, December 24, 1945, a fire destroyed the Sodder home in Fayetteville, West Virginia. At the time, it was occupied by George Sodder, his wife Jennie, and nine of their ten children. During the fire, George, Jennie, and four of the nine children escaped. The bodies of the other five children have never been found. The Sodders continue to question the official findings about the fire. They wondered why, if it had been caused by an electrical problem, the family’s Christmas lights had remained on throughout the fire’s early stages, when the power should have gone out. A telephone repairman told the Sodders that the house’s phone line had not been burned through in the fire, as they had initially thought, but cut by someone who had been willing and able to climb 14 feet up the pole. A missing ladder belonging to the Sodders was found at the bottom of an embankment soon after the incident. A man whom neighbors had seen stealing a block and tackle from the property around the time of the fire was identified and arrested. He admitted to the theft and claimed he had been the one who cut the phone line, thinking it was a power line, but denied having anything to do with the fire. However, no record identifying him exists, and why he would have wanted to cut any utility lines to the Sodder house while stealing the block and tackle has never been explained. Jennie Sodder also had trouble accepting Morris’s belief that all traces of the children’s bodies had been burned completely in the fire. Many of the household appliances had been found, still recognizable, in the ash. A local crematorium supported her theory. The trucks’ failure to start was also considered. George Sodder believed they had been tampered with, perhaps by the same man who stole the block and tackle and cut the phone line. “Rico Harris. He was a massive 6’9″ former Harlem Globetrotter basketball player who had drug issues earlier in his life, but had made a full recovery and was getting his life back on track. He was driving along California’s Interstate I-5, from his home in Southern California to Seattle, to live with his girlfriend. He was somewhere just north of Sacramento, exhausted, and told his girlfriend over the phone that he wanted to check out the mountains. All calls stopped since then. His car was found a couple days later by a patrolman near a rest stop in the mountains. A massive search was launched. No signs of him. The strangest part? A driver later reported seeing a massive 6’9″ individual wandering down the highway, just a mile from where the car was found—a week later. A search was re-launched, massive size 17 footprints were found in the ground that were not there before, they were getting very close, and then…nothing. No trace, no body, nothing. It was in the afternoon on July 17, 1981, when a group of six, plus Arras and her father, rode into Sunrise High Sierra Camp on horseback. The camp sits 9,400 feet above sea level and is regarded for its historic significance, being the final stop in Yosemite’s ‘mountain chalet’ loop. It was built in 1961 to make backcountry an alluring destination for tourists, offering stunning wilderness vistas but also creature comforts like showers and reasonably comfy beds. Arras told her father that she wanted to photograph a nearby lake. It wasn’t terribly far, just over a bluff. He declined to accompany his daughter, 14 at the time, but an elderly man from their group would tag along. At some point, the 77-year-old man grew tired and sat down to rest. Arras, seemingly determined to reach the water, trekked onward. She was on a cruise with her family. She was last seen asleep on the balcony of the cabin and was seen earlier in the night with the band on the cruise. She was reported missing shortly after the cruise docked. There were no signs of her on the ship or in the ocean. There were possible sightings of Bradley in Curaçao in 1998 and 1999. Two Canadian tourists reported seeing a woman resembling Amy on a beach in Curaçao in August 1998. The woman’s tattoos were reportedly identical to Bradley’s. Bradley’s tattoos included a Tasmanian Devil spinning a basketball located on her shoulder, the sun placed on her lower back, a Chinese symbol located on her right ankle, and a gecko lizard on her navel. She also had a navel ring. A member of the Navy stated that he saw Bradley in a brothel in 1999. He claimed she told him that ‘her name was Amy Bradley and [she] begged him for help,’ explaining that she was not allowed to leave. 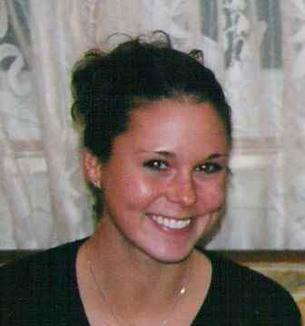 Maura Murray (born May 4, 1982) disappeared on the evening of February 9, 2004, after a car crash on Route 112 in Woodsville, New Hampshire, a village in Haverhill. Her whereabouts remain unknown. She was a nursing student completing her junior year at the University of Massachusetts Amherst at the time of her disappearance. On the afternoon of Monday, February 9, before she left the university campus, she emailed her professors and work supervisor, writing that she was taking a week off due to a death in the family; this claim could not be corroborated by her family….At 7:27 pm, a local woman reported a car accident on a sharp corner of Route 112 adjacent to her home. A passing motorist who also lived nearby stopped at the scene, and asked the woman driving the car if she needed assistance; she declined, claiming to have called roadside assistance. Upon arriving home several minutes later, the motorist reported the accident to emergency services. At 7:46 pm, law enforcement arrived at the scene, but the woman had disappeared. “The murder of Dorothy Jane Scott. Essentially, she was being stalked by somebody who claimed to be in love with her and would not leave her alone. The calls were innocent at first but became more demanding and angry as time went on. Dorothy, of course, quite understandably became more stressed out and in fear of her life. She had even taken up a self-defense class at a local community center. The last anybody ever heard from her was over 30 years ago. A coworker had been bitten by a poisonous spider, and she and another coworker (also a woman) drove him to a nearby Arizona hospital to receive proper medical treatment. After everything was all clear, she went into the parking lot to grab her car and drive to the main entrance to pick up her friends—except she pulled barreling out of the parking lot extremely fast going the wrong way, almost hitting her coworker who was trying to make sense of what was going on. “The disappearance of Bobby Dunbar. In 1912 his parents took him fishing on a lake in Louisiana and he went missing. Police searched for him for 8 months, and finally found a man named William Cantwell Walters who was traveling with a boy that resembled Bobby Dunbar. Walter’s claimed the boy was the son of a friend who had given him custody, and that the child’s name was Bruce Anderson not Bobby Dunbar. Investigators and positive ID from the parents determined this was actually the Dunbar’s child and gave custody over to them. The town had a parade for Bobby Dunbar’s return. During the trial with the Dunbar’s and Walters a woman named Julia Anderson came to defend Walters, asserting this was her son Bruce and she had given Walters custody—the courts dismissed her because she had three children out of wedlock (it was 1912) and two were already deceased. The trial being in Mississippi, and her being a very poor woman from North Carolina, she gave up on fighting the case. Her friends and family still haven’t given up, it’s been almost 20 years now. PLEASE don’t let this case slip between the cracks. He was the Centre County district attorney in PA. In 2005, he went on a road trip never to return. His car and cell phone were found in a town between State College and Harrisburg. His laptop was found ruined by the Susquehanna River. “Everyone in Minnesota knows about Jacob Wetterling. Eleven-year-old kid out riding bicycle with his brother and his friend, and this guy comes out with a gun and stops them and makes them all lie down on the ground. He sends Jacob’s brother off running, telling him he’ll shoot him if he looks back, and then gets a look at Jacob and his friend before choosing Jacob and sending his friend running the way he’d sent the brother. They finally found him last year and caught the guy who was responsible after almost 30 years of nobody knowing what had happened. “For me, it’s definitely Ben McDaniel. He was a scuba diver who went missing while underwater in a notoriously hard-to-navigate cave that only experienced divers were supposed to go into. But multiple experts said that it was unlikely that his body was in the cave, which was searched extensively. His parents kept hiring people to go into the cave and look for his body, and one of the search and rescue divers actually went missing and was never found while looking for him. There’s a theory that he faked his own death to get out of financial trouble, but employees definitely saw him dive underwater. “I’m personally perplexed by the disappearance of a Japanese woman named Mayumi Arashi. The 27-year-old left her house stating that she was going to meet a certain classmate of hers and never returned. Her older sister, Yoko, later checked with this classmate, who stated that such a meeting was never promised, and thus never happened. Her whole family started searching for her, but to no avail. There was an investigation which pinned a guy called ‘A’ as the prime suspect. The day after Mayumi’s disappearance, police tailed ‘A’ and found him entering a mountain or… a foresty place or something carrying two cans of juice. The police then lost track of him. Now, it would seem like Mayumi’s family, especially her sister Yoko, were extremely cooperative in helping the police, and that ‘A’ was the prime suspect. This case blew up over the internet after an interview with the father. A news station went to interview the family over this case, and upon interviewing the father, many internet users spotted a mysterious note posted on a wall behind him that the news crew failed to catch. A 20-year-old affluent, Jewish, East Coast college girl going to school in Indiana is out with her friends drinking and partying and never comes home. Her boyfriend reports her missing the next morning. The last guys she was known to be with all clammed up and lawyered up almost immediately. Her boyfriend (also an affluent East Coaster) packs up and moves home shortly after her disappearance. Several theories have arisen and been investigated but none have shown strong enough links to proceed. Local rumor is that she OD’ed and the people with her freaked out and drove south and dropped her body in the Ohio River. “The disappearance of Lars Mittank. Went to Bulgaria with friends. Got in a fight and was injured so couldn’t fly back when they did. Called his mum once they had all left saying he thought he was being followed and he was going to book a plane the next day. “The Springfield Three refers to an unsolved missing persons case that began on June 7, 1992, when friends Suzanne ‘Suzie’ Streeter and Stacy McCall, and Streeter’s mother, Sherrill Levitt, went missing from Levitt’s home in Springfield, Missouri. All of their personal belongings, including cars and purses, were left behind. There were no signs of a struggle, except a broken porch light; there was also a message on the answering machine that police believe might have provided a clue about the disappearances, but it was inadvertently erased.